Please note before booking/enquiring - Upon booking and receipt of your non refundable deposit we will post out the rental pack to your home address. 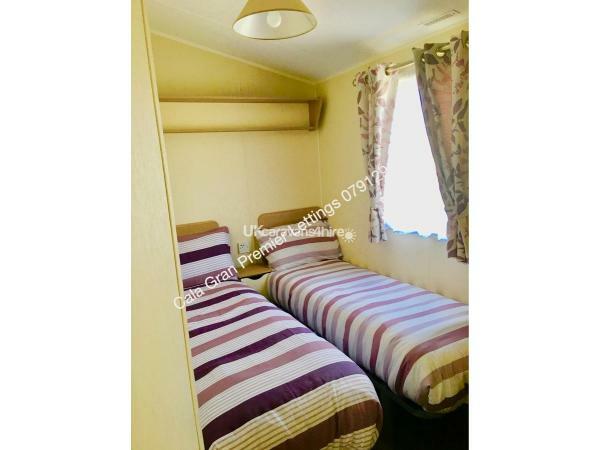 This will include the booking contract, details of the extras that we provide, location details of the caravan and other information. Due to unfortunate experiences previously this rental pack will not be sent until your deposit is received. 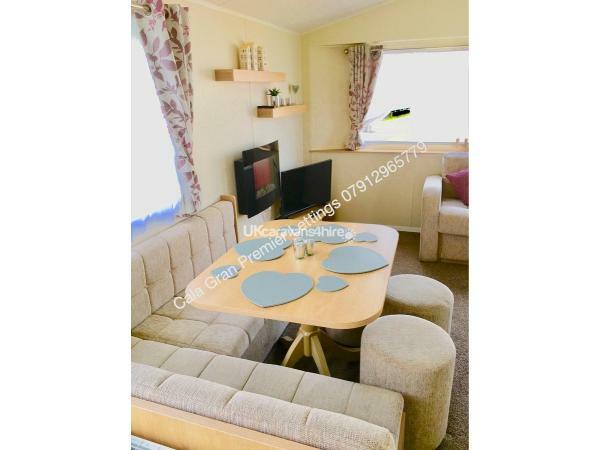 Our caravan is a beautiful brand new deluxe model. 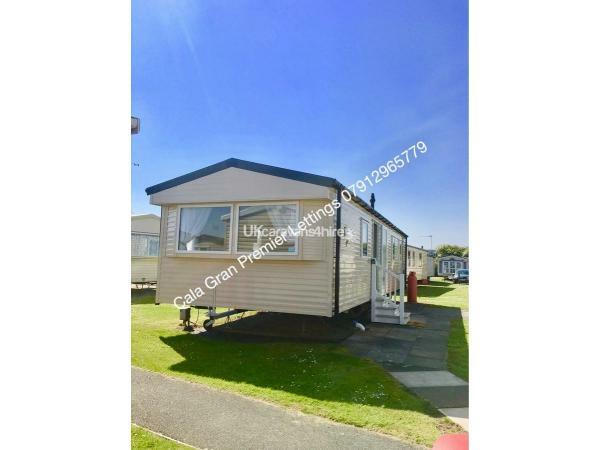 Well positioned caravan to give you the best of both worlds. 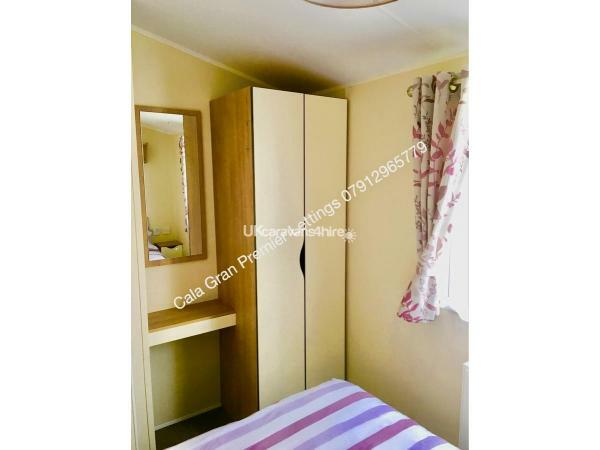 In a nice quiet area of Cala Gran holiday park which gives the the peace and quiet for a relaxing holiday but not too far from the main complex to be able to use the facilities. 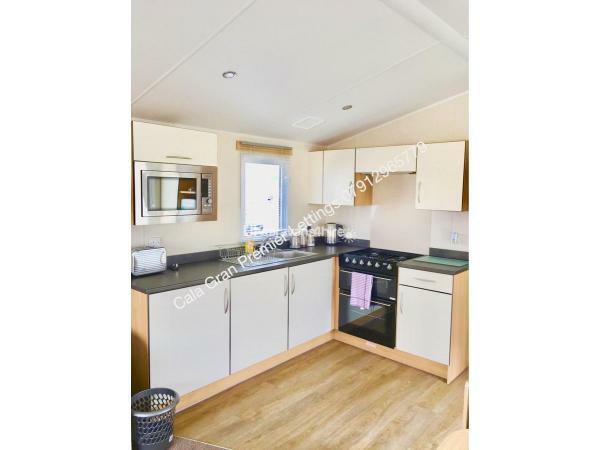 Grassed areas surround the caravan which makes it an ideal area for the children to play. 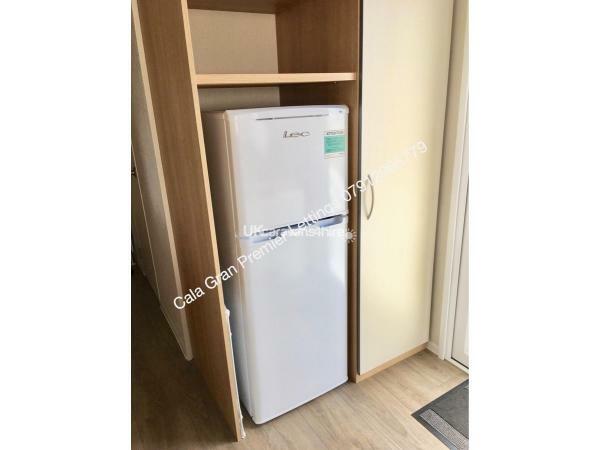 Fully equipped kitchen with kettle, toaster, 3/4 fridge freezer, all utensils, crockery, cookware and glassware you could need for a comfortable stay. We also provide tea, coffee and sugar as well as tea towels for your use. 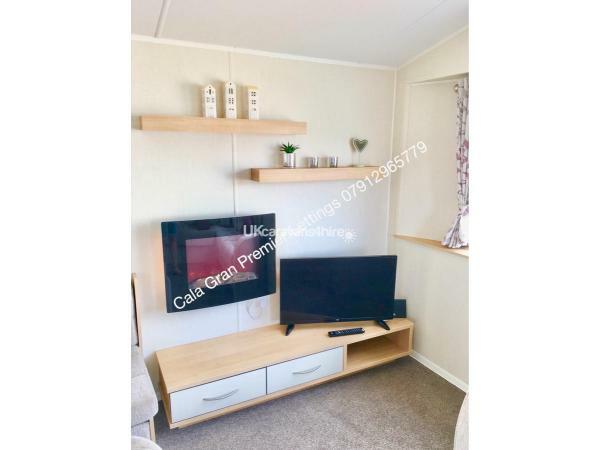 32" Smart TV with built in Freeview to the lounge. Comfortable seating area and separate dining area. 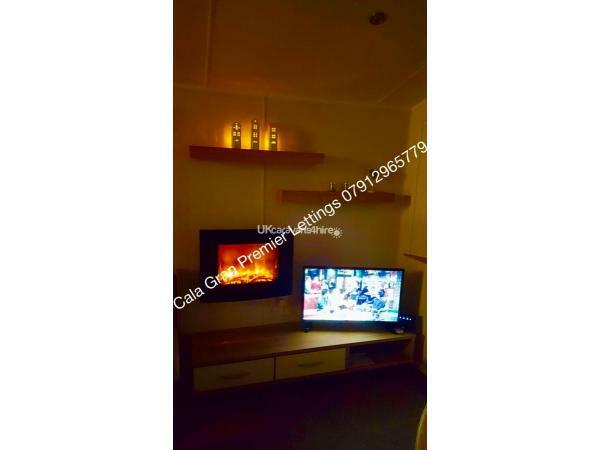 There are also USB plug sockets in the Living room and bedrooms to make charging all those phones and tablets a little easier. WiFi is available for a small charge of £10 per break and subject to our fair use policy. 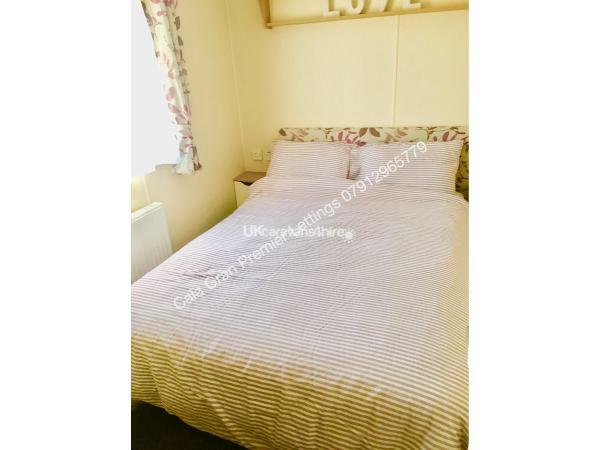 1 double bedroom and 2 twin bedrooms. 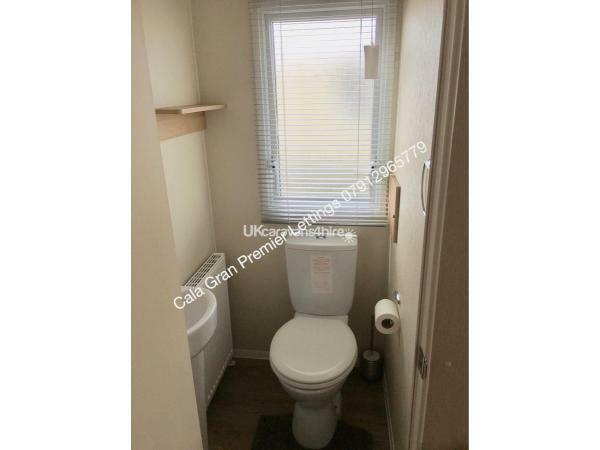 Main shower room with hand basin. There is a separate toilet with hand basin. All beds will be made up for your arrival. Outside you will find a lawn & patio area with table and chairs. In the immediate area to Cala Gran you will find numerous pub/restaurants, takeaways and supermarkets. Asda is a 5 minute drive away, as is Freeport Shopping Village. We had a brilliant holiday would most certianly recommend ! 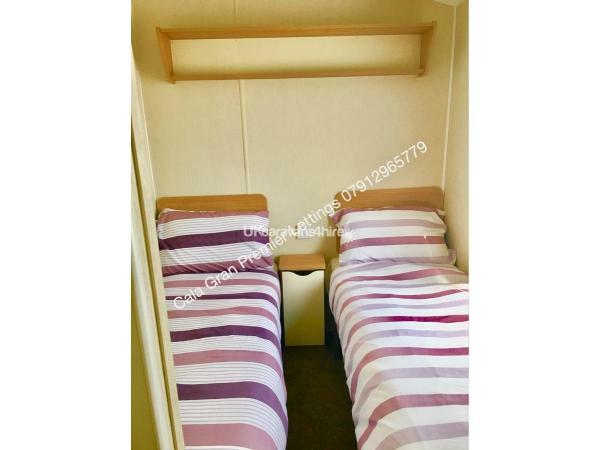 Upon arrival the caravan was spotless and beds were made up (saving us the job) . We felt very comfortable staying here and loved the little extras. 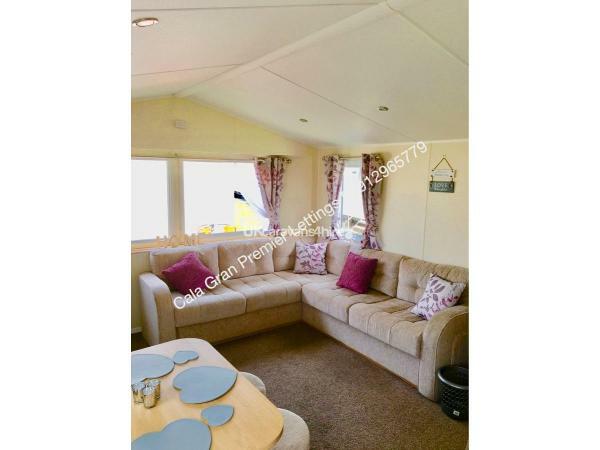 It's really spacious and there is plenty of space for the kids to play inside and a large grassed area just outside. Loads to do on site and a farm just across the road ! Really happy and will defiantly be booking again in the future!